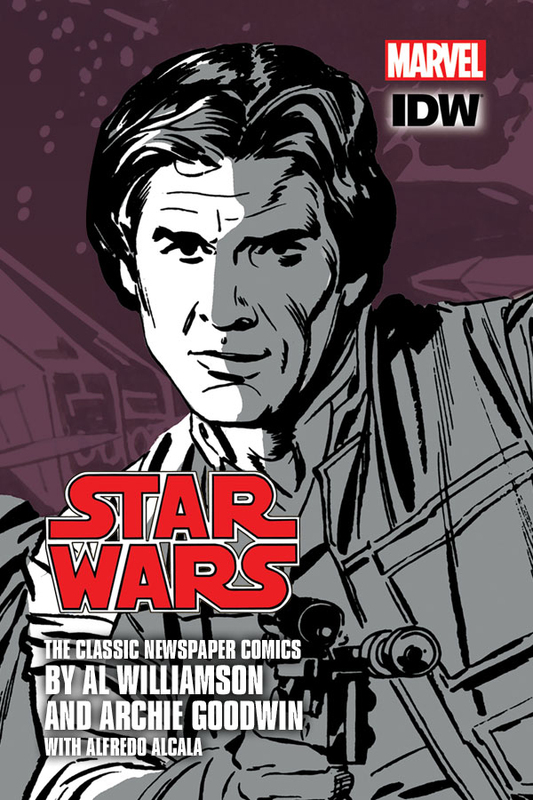 Reprints for the first time the classic Star Wars newspaper strip in its complete format. No other edition includes each Sunday page title header and “bonus” panels in their meticulously restored original color. The epic seven-days-a-week sagas begin with “Han Solo at Stars’ End,” based on the novel by Brian Daley, adapted by Archie Goodwin and Alfredo Alcala, followed by seven complete adventures by the storied team of Archie Goodwin and artist Al Williamson. The pair had previously worked together on Creepy, Eerie and Blazing Combat comics magazines, the Flash Gordon comic book, and 13 years on the Secret Agent Corrigan newspaper strip. They seamlessly shifted gears to take over, at George Lucas’s request, the Star Wars newspaper strip. Included are all strips from October 6, 1980 to February 8, 1981.